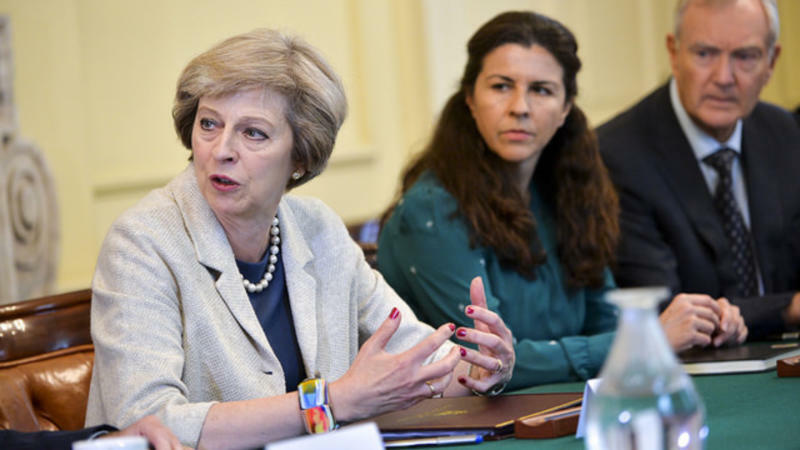 British Prime Minister Theresa May will demand Brexit ‘action plans’ from her ministers, at a meeting to be held at Chequers, her official country residence, later this week. The meeting, as ministers return from their summer holidays, comes amid confusion as to whether May will trigger Article 50, starting the UK’s withdrawal from the EU, by allowing MPs a vote in the House of Commons, or not. Attempts by EurActiv.com last week to discern whether a vote of MPs was a legal necessity were met without response. At the weekend the Daily Telegraph reported that the new PM wanted to trigger Article 50 without a vote in parliament. A Downing Street spokesperson told the newspaper that May was “committed to delivering on the verdict the public gave” in the 23 June referendum, which saw the UK vote to leave the 28-member bloc by 52% to 48%. It has since become a major issue in the opposition Labour party leadership campaign, with challenger Owen Smith promising to oppose Brexit at any vote in the House of Commons, and current leader Jeremy Corbyn stating the verdict of the referendum must be respected. Whether it will actually come to a vote of MPs, a majority of whom are opposed to Brexit, remains to be seen. Lawyers from the Mishcon de Reya law firm are poised to challenge the government in the English High Court, arguing that May cannot trigger Article 50 of the EU’s Lisbon Treaty – the two-year legal process for leaving the bloc – without a parliamentary debate and vote authorising her to do so. Once Article 50 is triggered, it would start a two-year countdown to Britain’s exit from the European Union. May has said it will not be triggered this year, the government needing time to shape Britain’s exit objectives first. The prime minister, who replaced David Cameron in the weeks after the shock British vote, is due to host ministers at her country residence this week, demanding “action plans” from each department about how they can make the most of Brexit, according to the Sunday Times and Sunday Telegraph. Ministers will “discuss the next steps in the negotiations,” a government source told the Telegraph, before the prime minister heads to China for a meeting of G20 world leaders. The summer break saw leaking between Boris Johnson, the new Foreign Secretary, and Liam Fox, the Minister for International Trade, in an apparent war over expanding their responsibilities in the Brexit negotiations. Meanwhile Gus O’Donnell, the former head of the civil service, said Brexit was not inevitable and Britain could still remain a part of a changed EU. “It very much depends what happens to public opinion and whether the EU changes” before Britain is ready to leave, he told The Times newspaper. Britain’s shock vote to leave the EU in a 23 June referendum has raised questions over the process and time frame for an EU country to leave the Union. Technically, the UK must give legal notice under Article 50 of the Lisbon Treaty of its desire to quit the EU in order to start the process. However, the text makes no mention of a time frame, beyond the two-years of negotiation that will then follow for the leaving country to find a new settlement with the EU. Britain appears in no rush to trigger the process, however. Theresa May, the new Prime Minister, said the UK will not invoke Article 50 until Britain’s objectives for a post-Brexit settlement with the EU are clear. “That is why I have said already that this will not happen before the end of this year”. Setting off Article 50 in early 2017 seems the most likely scenario, meaning the negotiation process would last into 2019, when the next EU elections are held.